The origin of the Temple of Sree Padmanabhaswamy is lost in antiquity. 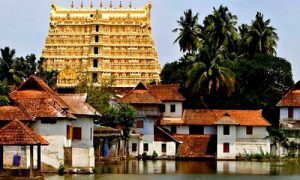 It is not possible to determine with any exactitude, from any reliable historical documents or other sources as to when and by whom the original idol of Sree Padmanabhaswamy was consecrated. 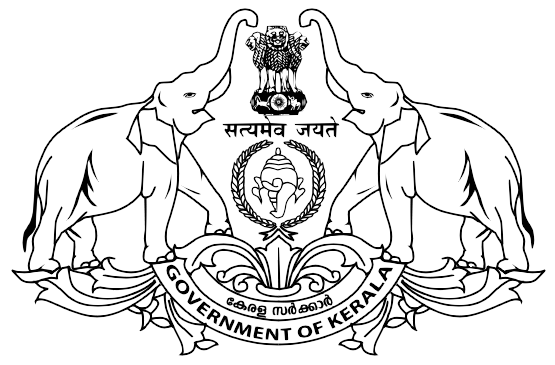 The Temple has references in Epics and Puranas. Srimad Bhagavatha says that Balarama visited this Temple, bathed in Padmatheertham and made several offerings. Nammalwar, 9th century poet and one among the 12 Vaishnavite saints of the Alvar tradition, has composed ten hymns in praise of Lord Padmanabha. Some well known scholars, writers and historians, like the late Dr. L.A.Ravi Varma of Travancore, have expressed the view that this Temple was established on the first day of Kali Yuga (which is over 5000 years ago). The legends of the Temple are handed down through the centuries. One such legend which finds a place in the old palm leaf records of the Temple, as also in the famous grantha entitled “Ananthasayana Mahatmya”, mentions that it was consecrated by a Tulu Brahmin hermit named Divakara Muni. On the 950th year of Kali Yuga a reinstallation of the idol was done. In the 960th Kali year King Kotha Marthandan built the Abhisravana Mandapam.The principal deity Vishnu is enshrined in the “Anantha Shayanam” posture, the eternal yogic sleep on the serpent Adisheshan.Sree Padmanabhaswamy is the tutelary deity of the royal family of Travancore. The titular Maharaja of Travancore Moolam Thirunal Rama Varma is the trustee of the temple. 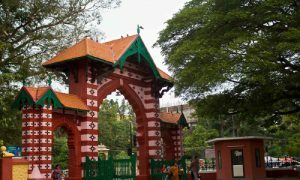 The name of the city of Thiruvananthapuram in Malayalam translates to “The City of Lord Ananta”,referring to the deity of Padmanabhaswamy Temple. 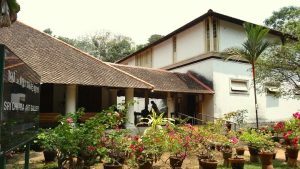 Established in 1935 by the then Maharaja of Travancore, Sree Chithira Thirunal, the Sree Chithra Art Gallery near the Napier Museum displays a rare collection of paintings. Works of acclaimed artists like Raja Ravi Varma, Svetlova and Nicholas Roerich; exquisite works from the Mughal, Rajput and Tanjore schools of art, are on display here. An oriental collection consisting of paintings from China, Japan, Tibet and Bali offers a visual treat and are a tribute to the art and culture of these countries. The collection also includes unique copies of Indian mural paintings from pre-historic times down to the 18th Century. The Magic Planet located in Thiruvananthapuram which claims to be the world’s first magic themed park is fast emerging as a major tourist spot in Kerala. Envisaged to showcase the wonders of magic and explore its endless possibilities, the doors to this castle of magic have been thrown open to the public. A multitude of fascinating activities await visitors here. Among the many segments, the ‘Street Magic Venue’ which displays spellbinding performances and tricks such as ‘The Indian Mango Mystery’ and the ‘Indian Basket Trick’ on the streets attract visitors in hordes. Be it the magical session displaying William Shakespeare’s ‘The Tempest’, or the ‘Magic Gallery’ at the History Museum with its rare memorabilia tracing the tale of magic and magicians from the middle ages to the 1950s, or the ‘Circus Castle’ where hypnotic and mesmerising acts are staged, the Magic Planet will enthrall you beyond words. Apart from these exquisite and magical treats, this enchanting place has a host of other gripping attractions that can charm you forever. Magic Planet is situated at KINFRA Film and Video Park, Kazhakuttam, in the capital city. 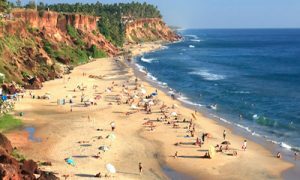 The Papanasam Beach (also called as Varkala Beach), which is ten kilometers away from Varkala, is renowned for a natural spring. Which is considered to have medicinal and curative properties. A dip in the holy waters at this beach is believed to purge the body of impurities and the soul of all sins; hence the name ‘Papanasam Beach’. The Veli Tourist Village which lies where the Veli Lake meets the Arabian Sea provides for unique boating and picnicking opportunities. Visitors can hire pedal boats or paddleboats as per their convenience. One can also roam the gardens and have a nice picnic or choose to employ the boats for the entire duration of the trip. 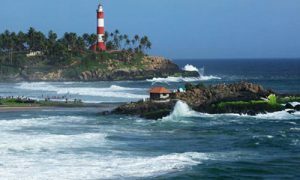 The view and feel of the place is extremely unique, considering it is merely 12 kms from the capital city of Thiruvananthapuram. Children are known to have a lot of fun climbing the sculptures here and the speedboat ride across the waters. 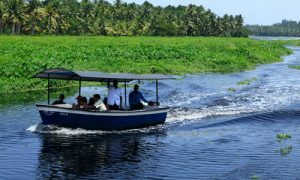 A separate Children’s Park and Floating Cafe run by Kerala Tourism Development Corporation (KTDC) are added incentives to visit this unique village. 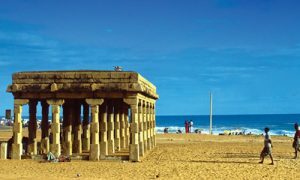 Shanghumugham beach is considered as the ‘Arattukadavu’ of Sri Ananthapadmanabhan – The presiding deity of the city. Thousands of Hindus perform ‘Bali Tharpanam’ during special occasions. Shanghu mugham is the prime location for Ganesh Nimarjan at the time of Vinayaka Chathurthi. Neyyar dam is a gravity dam on the Neyyar River in Thiruvananthapuram district of Kerala, South India, located on the foot of the Western Ghats about 30 km from Thiruvananthapuram.It was established in 1958 and is a popular picnic spot. Lying against the southern low hills of the Western Ghats, Neyyar Dam has a scenic lake. Neyyar dam is situated at Kallikkad Panchayath of Kattakkada Taluk of Trivandrum district. The peak Agasthya kooodam is very near to Neyyar dam. 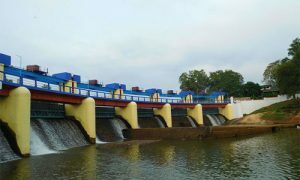 The dam was built in the land given by an agriculturist known as Karuvachiyil Krishan Panicker, Father of Janaki Thankamma, Maruthummoottil family, and his other family members for irrigation purposes. One canal of Neyyar flows to western districts of Tamil Nadu. The main river Neyyar flows through Kallikkadu, Ottasekharamangalam, Aryancode, Kezharoor, Perumkadavila, Marayamuttom, Neyyattinkara and Poovar and ends at the Arabian Sea. 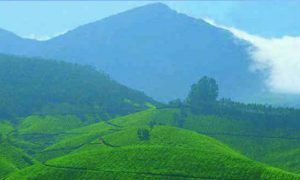 Ponmudi is a hill station in the Thiruvananthapuram District of Kerala in India. 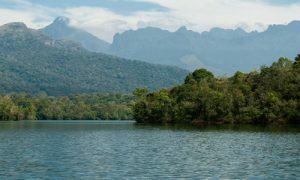 It is located 55.2 km north-east of Trivandrum City at an altitude of 1100 m. Ponmudi peak is a part of the Western Ghats mountain range that runs parallel to the Arabian Sea. Ponmudi is connected to Trivandrum by a two lane highway (SH2 & SH 45). The last 18km starting from Anapara has scenic views, as it winds through the mountains and tea gardens. The travel along this stretch provides a thrilling experience as drivers and riders have to navigate 22 Hairpin turns. Ponmudi is also a popular spot for backpacking and trekking. The climate is pleasant year-round.ther attractions near Ponmudi include Golden Valley and a number of rivulets and rapids, some even across the road. The lush forest area has tropical vegetation.A variety of wildlife inhabit the hills. The Golden Valley offers vistas of the hills and access to the Kallar River. Flowing though a wilderness area, it has rounded pebbles, cool water, fish, and lush green trees. Near a beautiful Durga Temple lies a stream where people can be regularly seen feeding fish who pop up close to the shore. Visitors stroll around leisurely the pristine picnic spots. These are some of the visuals one sees at Aruvikkara Dam. Located on the outskirts of Thiruvananthapuram City, whose water supply it is responsible for, Aruvikkara is ideal for a weekend drive from the State capital. The serene Karamana River invites you and a fun filled jaunt is guaranteed on every trip here.